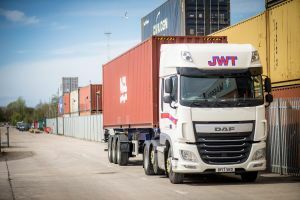 Haulage firm JWT Commercial has expanded its footprint at the Port of Liverpool, investing in over five acres of land. It will allowing it to handle larger volumes of goods for distribution to stores across the UK. It has also invested £500,000 in an automated system in Liverpool that will significantly speed up its turnaround time for containers travelling through the port. Earlier, retailer B&M announced plans to increase its imports into Peel Ports-owned Liverpool by 30% after growing increasingly frustrated with delays at southern ports. JWT is the inland logistics supplier for the retailer. JWT has also invested almost £2 million in new trucks, with trained staff ready to be deployed to Peel’s south east ports at London Medway and Great Yarmouth.